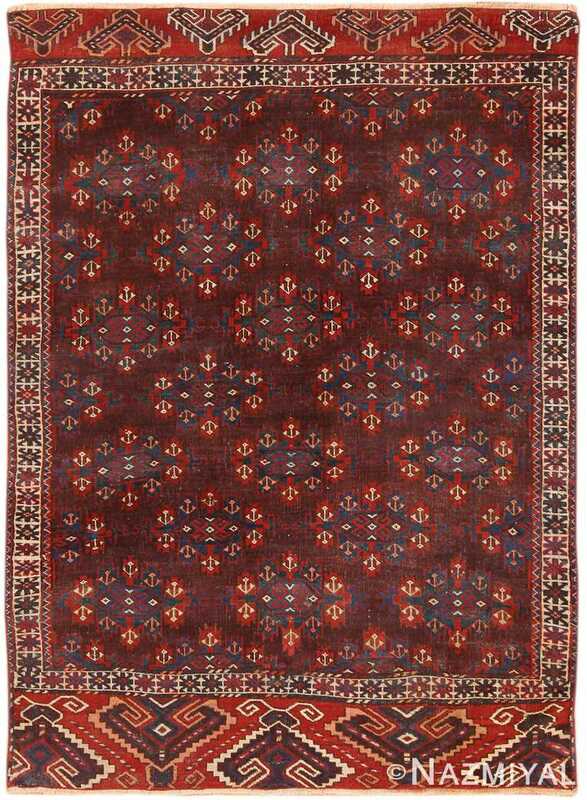 This daring and complex runner of Kurdish origin is an especially rare piece, its dynamic and energetic design of geometric figures and floral elements expertly composed. Antique Tribal Kurdish Rug, Country of Origin: Persia, Circa Date: 1900 – This tribal antique runner rug, on a grand scale, features a very desirable, traditional Kurdish rug design throughout. Large, abstract, geometric figures of red, blue and white abound throughout the fifteen feet of this gorgeous antique runner from North West Persia, punctuated by floral elements and further abstract symbols throughout. 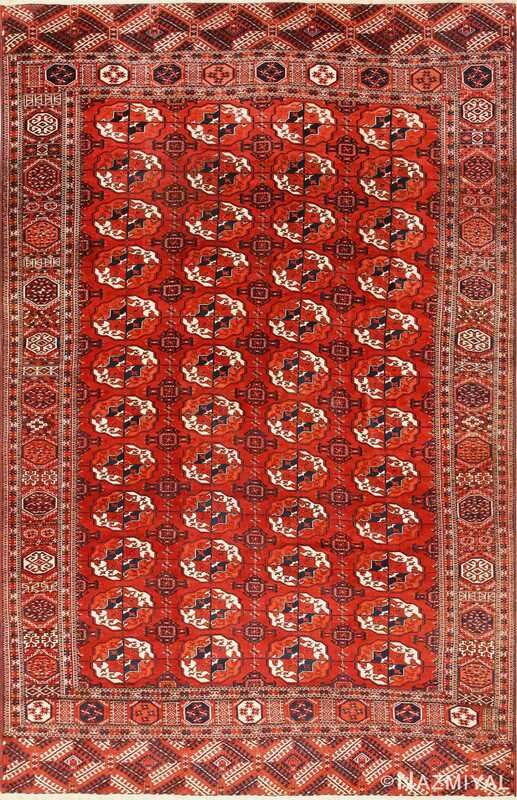 A fascinating border of complementary colors and designs frames the entire action of the central field, giving the carpet a deeper overall impression of cultural authenticity. Sure to be appreciated by the keen collector of traditional, tribal designs, this Kurdish runner is a brilliant example and a dynamic composition.